Great photos, They remind me of a visual to alot of Tom Waits songs. Good work. Heartbreaking and beautiful. Haunting images reminiscent of all of your work. You are most kind, your support is priceless. Thank you. 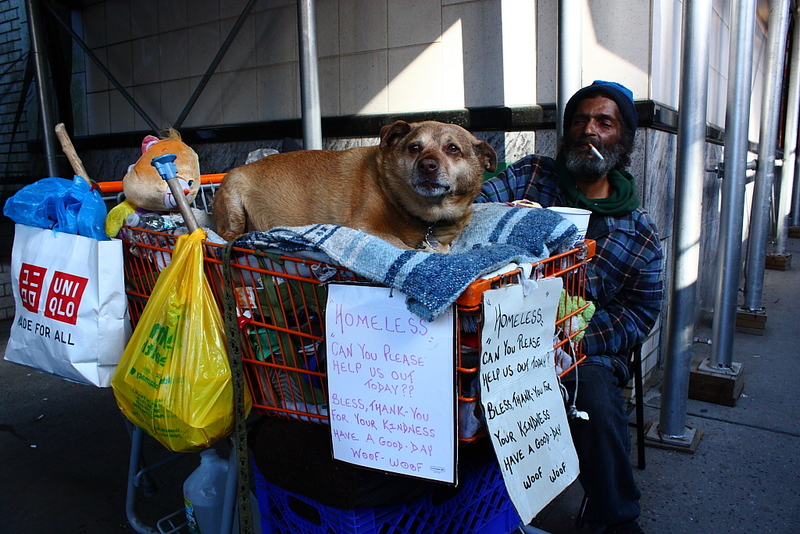 i always find it interesting that the homeless have dogs when they are “unable” to eat themselves. i guess everyone deserves companionship right? I understand what you mean. If I was really cynical I would suggest that it was a ploy for the animal lovers to give some cash. Who knows? I remember when my daughter lived in New York and seeing all the homeless people as we walked around the town. It’s so sad. 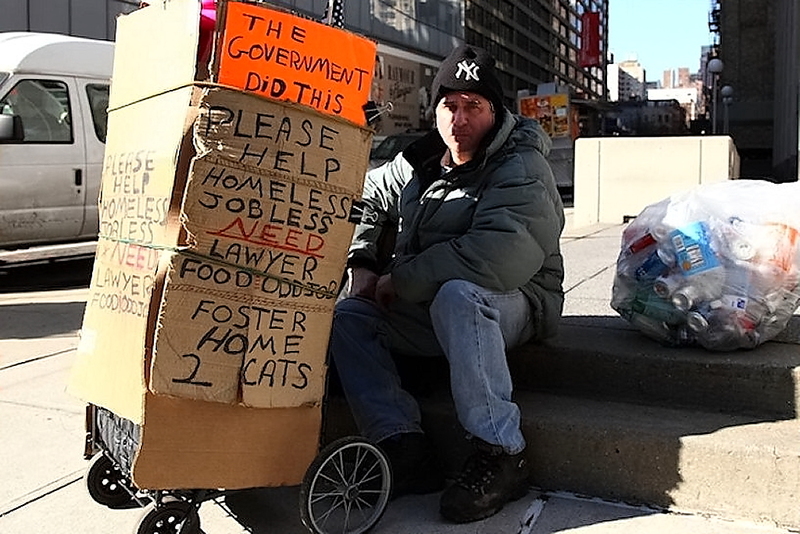 With America being the great country that it claims to be, no one should be homeless there. I couldn’t agree more Ashley. Thanks for your comment. Really powerful photography. I love it. That is very kind of you. You have a fantastic blog Robin, great tips and articles, you really know your stuff. Thank you for your encouraging comment. Very appropriate title! It’s a new breed of homeless I think, I’d lie to take that poor dog home. Funnily enough, ‘that poor dog’ barked and growled at anyone who got too close. Hardly the perfect partner when you are asking people to dig deep and pass over a couple of dollars. Hi Yulia, I doubt very much that this guy has any opinion on the political stance of Uniqlo (nor do I) I guess it is just a ‘bag’ to carry his ‘stuff’ which would undermine any point to be made by the brand on it. I think it may be ironic in a small sense. Paradox I love, Uber-consumption I am not easy with really. Love that your comments are constructive and I am so pleased you like ‘Tango in Union Square. Thank you so much. The plight of these people should make us appreciate what we have. You are right, but does it? These are very powerful images. Thanks for the likes on my photography blog. Appreciate it! these are really powerful / meaningful pictures. Goodjob taking the pictures, over here in california/ san jose, they dont want you taking pictures, they will probably attack you, or threaten. Much the same here to be honest, I always find that a few friendly words and a little respect goes a long way. That and a couple of dollars for their trouble. Thanks for the comment.